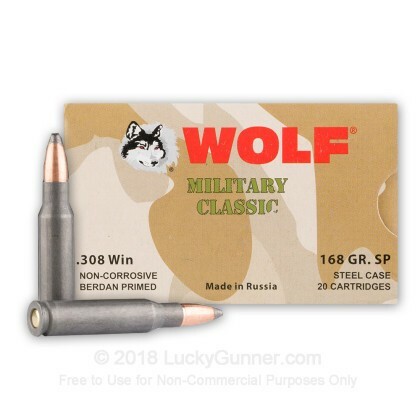 Wolf's steel cased line of ammo brings affordability to your .308 Win shooting while still offering a dependable choice. 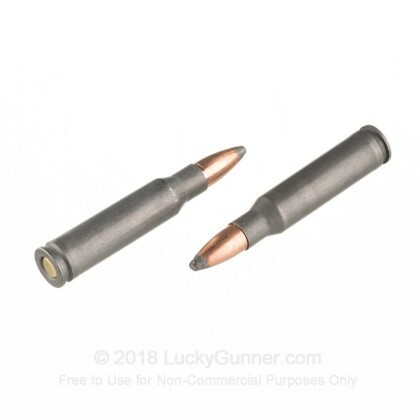 This load, with its heavy 168 gr SP bullet, is a great choice for hunting deer or hogs. The soft point projectile is designed to expand on impact creating a larger permanent wound cavity to drive a quick, clean kill. This ammo is steel cased, berdan primed, non-corrosive, and is not reloadable. 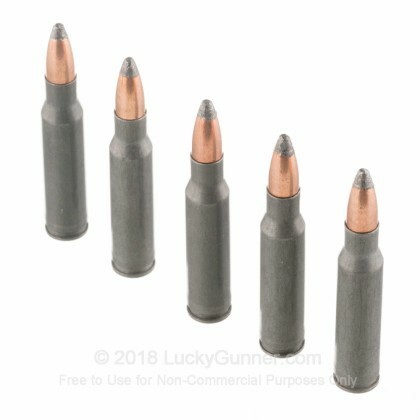 We don't have any reviews yet for this particular .308 (7.62X51) ammo from Wolf. 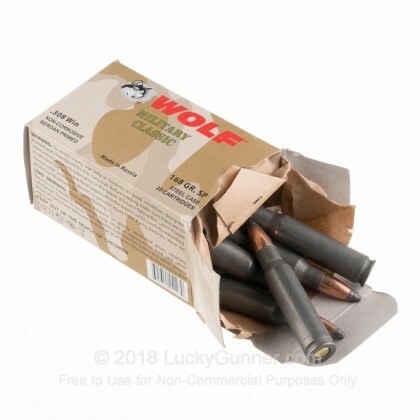 If you'd like to be the first to review this particular .308 (7.62X51) ammo from Wolf, fill out the form below. Q: The range I will be shooting at uses a magnet to detect steel in the bullets. 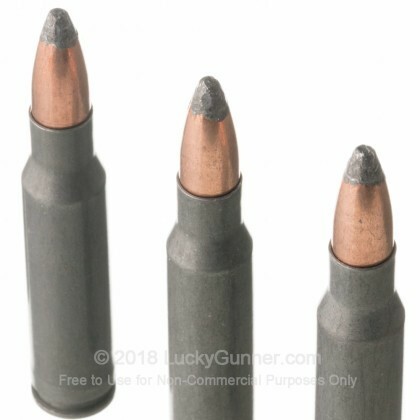 Will I be able to shoot the 308 - 168 Grain SP - Wolf Military Classic ? A: This ammunition despite being a soft point, still has a bi-metal bullet, and will attract a magnet. 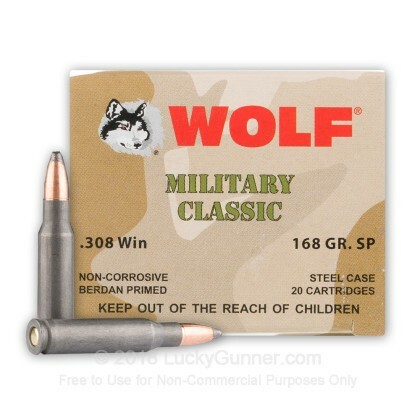 We also have this 308 - 168 Grain SP - Wolf Military Classic - 500 Rounds ammo in stock in a bigger quantity.